Whether your Southern Oregon Real Estate search is for ocean view, river front, timbered land, ranches, homes, commercial, businesses or relocation Southern Oregon Realty offices will help find or sell the Oregon Real Estate property you are looking for. You will find Southern Oregon Real Estate services listed here for all the areas of Southwest Oregon. Rogue River Country is a pretty big place, with a tremendous amount to offer. 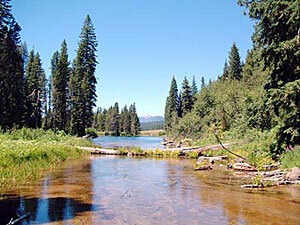 Rogue River County extends from the coastal plain of the Pacific Ocean to the Cascade Mountains. This creates several diverse climate, and activity zones which will meet the Oregon Coast Real Estate shoppers needs. Whether you are looking for a permanent residence, a second home or a vacation property, the Running Y Resort has a wonderful selection of homes and home sites that offer impressive values compared to other mountain destinations. There are exclusive lake, mountain and golf course view home-sites, pre-designed semi-custom homes, low maintenance town-homes and charming cabin in the pines, chalets, or fractional ownership. Brookings and Harbor are side by side just 7 miles north of the California boarder. 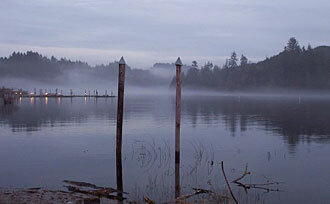 Located at the mouth of the Chetco River noted for its great Salmon and Steelhead Fishing. Salmon Run Gold an 18 hole Golf Course is just up the Chetco River on the south side. Brookings is noted for having the best climate in Oregon. There is a new Urgent Care facility in Brookings with the Crescent City Hospital just 27 miles south and the new Curry General Hospital just 27 miles north at Gold Beach. The Brookings / Harbor area has about 10,000 population combined. 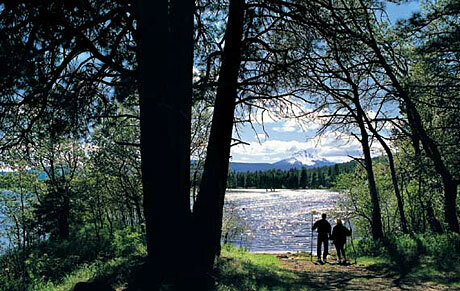 Rogue River Country extends from the coastal plain of the Pacific Ocean to the Cascade Mountains. On the coast we have a marine climate. The Ocean currents keep temperatures the warmest in the state during the winter, seldom below freezing with snow being rare. During our coastal summers our marine climate regulates air temperatures and we see temperatures exceeding 80 degrees only a few days a year. Late December begins winter and by mid February Spring all around. Rainfall is high here keeping the Coastal Rain Forest green year around. Even though we are likely to get 80 inches of rain or more per year here it seems like a lot less. Most rainstorms start as the sun sets and are finished by sunrise, however some large rain events will start at sunrise and continue to the next sunrise. It almost never rains a little bit. Rain falls at high rates for short times to be followed by glorious weather. That’s how it is on the coast. We get almost no rainfall in the summer months, June-July-Aug.-Sept.
Did I say pure ocean air, no smog. Here you will find fishing a favorite pastime. 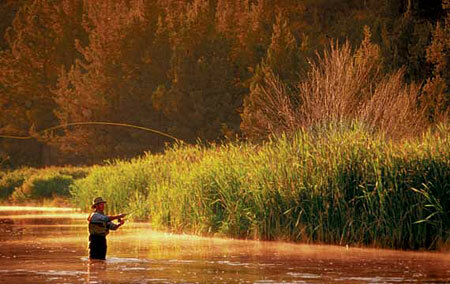 With 8 Wild and Scenic Rivers, 7 Ocean fishing ports located in the Wild Rivers Coast / Marine Region. There are more Salmon and Steelhead found here than anywhere else in the continental United States and we have the best bottom fishing on the west coast. Golf in Southern Oregon is big time. Here you will find some of the best Golf Courses in the west. Fantastic golf weather with uncrowded courses. Gold Beach Oregon is the County seat of Curry County. Gold Beach is the second largest town in the county next to Brookings located 27 miles to the south, Gold Beach population is just over 2,000 souls. The famous Rogue River with its huge runs of King Salmon and Steelhead make Gold Beach a fisherman’s paradise. Gold Beach is blessed with the states best Ocean Bottom Fishing off the Rogue River Reef, Crabbing is also great in the Ocean. We have a quaint 9 hole golf course and very good restaurants for that evening out, a nice local hospital and small airport.. Gold Beach has more sunny days than cloudy and the most sunny days on the Oregon Coast. Gold Beach 29642 Ellensburg Ave.
Gold Beach 29760 Ellensburg Ave. Port Orford is located at about 54 miles north of the California boarder. A small Coastal sea port town of less than 1000 population. 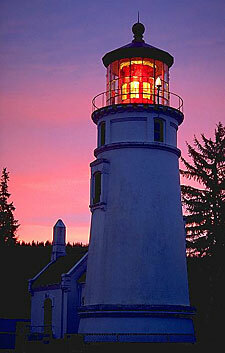 Port Orford was the first town settled on the Oregon Coast. Known of great Ocean Fishing, Crabbing, Surfing and Wind Surfing opportunities. Port Orford is located just 3 miles from the Elk River and Sixes River which are fishing jewels for Fall King Salmon and Winter Steelhead. Port Orford Oregon Realty 356 W 6th St. Port Orford Oregon Real Estate 324 6th St. Port Orford Oregon Real Estate 519 Jefferson St. Located on the Southern Oregon Coast at the mouth of the Coquille River, Bandon Oregon is 90 miles north of the California border, about a 90 minute drive to Interstate 5 at Roseburg, five hours by car from Portland and about nine hours from San Francisco. It is home to two of the world’s premier golf courses, and for all that it has to offer, it remains charmingly undiscovered and unspoiled. Bandon Oregon Real Estate 11th St.
Bandon Oregon Real Estate 325 2nd Street SE. Bandon Oregon Real Estate 780 Second St. SE. Bandon Oregon Real Estate 545 2nd St. 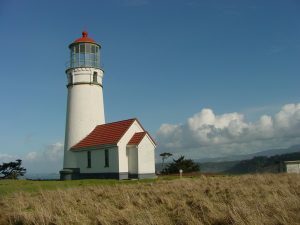 The Bay Area , consisting of Coos Bay, North Bend and Charleston, is truly unique for the Oregon Coast. 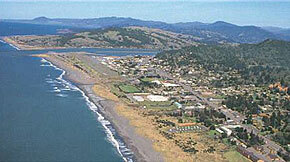 The Bay Area has the only Commercial Airport on the Oregon Coast in the North Bend Airport. 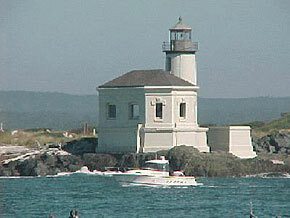 The only commercial shipping port on the Oregon Coast in the International Port of Coos Bay. The Bay Area has the largest medical facility on the Oregon Coast in Bay Area Hospital with 172 beds and more than 100 physicians with supporting clinics. Population of 30 thousand in the Bay Area with lots of shopping yet close to parks, golf courses, fishing, clamming, crabbing, casino, area lakes and beaches. 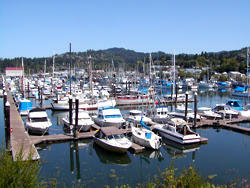 Coos Bay Oregon Real Estate 605 N. Bayshore Dr.
Coos Bay Bend Oregon Real Estate 100 Central Ave.
Coos Bay Oregon Real Estate 791 Commercial Ave.
Coos Bay Oregon Real Estate 556 N. Bayshore Dr. Located in the center of the Oregon Dunes National Recreation Area on U.S. Coast Highway 101, this coastal community is home to 40 miles of undisturbed beaches, the tallest dunes in Oregon, spectacular sunsets and abundant wildlife. The rich and diverse natural beauty affords a host of outdoor recreational opportunities. Mouth of the Umpqua River, Great Ocean Salmon and Bottom fishing – Claming and Crabbing – Big Game Hunting – Striped Bass and Sturgeon fishing. Home to Oregon Dunes National Recreation Area and Dean Creek Wildlife Viewing Area. Reedsport Oregon Real Estate 901 Hwy Ave.
Reedsport Oregon Real Estate 1590 Winchester Ave.
Reedsport, Oregon Real Estate 1780 Winchester Ave.
Reedsport Oregon Real Estate 2285 Longwood Ave. Climate: The Rogue River Valley is bordered on the west by the Coastal Mountains, on the east by the Cascade Mountains and on the South by the Siskiyou Mountain Range. Yearly Rainfall is 15 to 30 inches per year. Temperatures in summer months can be near 100 degrees many days but average about 91 degrees in July and August. Winter low temperatures seldom drop below 20 degrees with day time temperatures at about 45 degrees. Beautiful Fall colors as in this region. There are definitely 4 seasons. The Rogue Valley has long be hailed as a great pear and peach growing region now wine grape growers have found the climate top-notch for growing wine grapes. The Rogue Valley is a wonderful gardening location with warm daytime temperatures and great soil to promote plant growth. Agriculture is based in the valley with timbered mountain ranges surrounding the region. Merle West Medical Center Hospital / Airport / 1.5 hours to regional medical care at Rogue Valley Hospital / 1.5 hours to regional airport at Rogue Valley Airport. Klamath Basin is a resort type of area.